Altitude bedeutet Meereshöhe; diese Zahl gibt Auskunft über die Meereshöhe bei der dieser Wein angebaut wird. Es ist eine große Freude, alle drei Weine nebeneinander zu verkosten. Weine von überraschender Qualität !!! +720 kurzfristig nicht an Lager ! 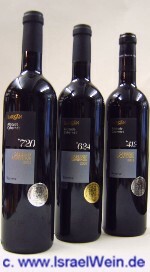 The wines of the Altitude series are those that are bestowed with double delights. Firstly, these are excellent Cabernet Sauvignon Wines, rich and concentrated, that allow for a wonderful drinking experience, whether as an accompaniment to a meal or as the centerpiece itself, for the present and for the foreseeable future. Beyond this, these wines act as an intellectual stimulus, by presenting a rare chance where one can taste and compare three Cabernet Wines, all from the same vintage, which have undergone similar fermentation, extraction and aging processes, while being harvested from different vineyards. Altitude +412 tasting notes: The hue was Ruby-Crimson, rather dense. The wine is abundant with black and concentrated fruit: cassis and black cherry wrapped in a dark chocolate tone, with hints of espresso and black pepper. The aromas are mature, wide, and powerful yet with a presence of elegance & crispiness that characterize the present vintage. Extended airing increases the intensity of the fragrances and adds tones of espresso and Tabacco. The basis of the wine's structure, made of solid tannin and acidity, combined with the succulent fruit; hint that although the wine is readily accessible and already allows for a complete drinking experience now, it also has considerable aging capacity. Food pairing: Full flavoured meat or rich sauced chicken dishes. Altitude +624 tasting notes: Red-Purple hue. The wine has an impressive garnet, without over-ripening, with a prominent tone of violets and a background of blackberry, all with spicy and sweet complexity – vanilla, with hints of cinnamon and cloves and an impressive touch of chocolate. 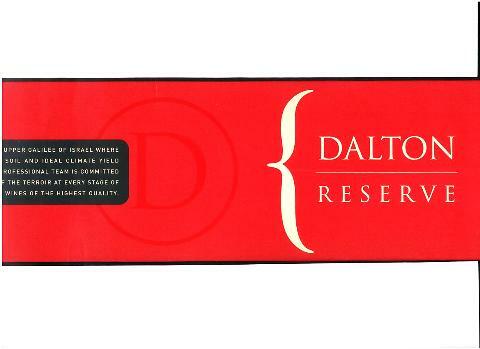 Extended airing unveils additional layers of red fruit, ripe yet refreshing and elegant, with hints of mint. Significant red cherry fruit is noticed once the wine hits the palate, adorned with fine milk chocolate and solid yet impressively refined and mild tannin. The ending is harmonic and caressing, abundant with sweetish fruit, soft yet fresh. There is no doubt that this is an harmonic and complex wine that represents prime Upper Galilee wine in classic and elegant form, with aging properties that will allow it to improve over the years. Food pairing: Full flavoured meat or rich sauced chicken dishes. Altitude +720 tasting notes: Black berries raspberries, cassis with red and black cherries, fully ripe but with a refreshing herbal note. Food pairing: Full flavoured meat or rich sauced chicken dishes.